If you’ve been managing a Facebook business page for any length of time, you have most certainly noticed your reach has been diminishing over the last year. Reach is a metric that calculates how many people scroll over your status update in their news feed or interact with it within the ticker. Reach is most similar to radio or TV metrics that tell you 20,000 people are “listening” or “watching” during a certain period. In 2012 and through 2013, average reach on pages that nectarMEDIA manages was between 15-20%, meaning that if a page had 1000 fans, you could count on 150-200 seeing the post. In late 2013 Facebook made some tweaks to their algorithm that squeezed content reach to between 6-10%. 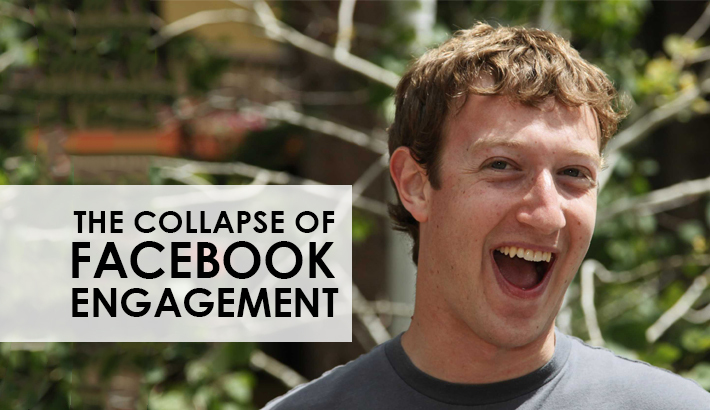 According to a recent story on Adage, Brands Organic Facebook Reach Has Crashed to 1-2%. With 1.25 billion accounts, and by recent reports 1 billion of them active, can brands afford to walk away? As a business man with a page of 5,000 likes, I see the value in being able to reach out to fans with our story and promotions. We have seen highs of 50% reach and lows of 1.5% reach. The average of the last 10 posts is at 9%. 1. Abandon ship for other social networks. While Facebook is the big dog, there are other networks in which you can grow influence and generate attention for your business. Focus efforts on Twitter, Google Plus, Instagram or Pinterest (if appropriate). Treat social networks as relationship building tools and not necessarily marketing channels and you will see success wherever you go. ADD VALUE and you will succeed. 2. Pay for ads. Adjust to the new Facebook reality and set aside a small budget to boost key posts and pay for acquiring targeted likes. This means that more analysis should be done in determining the impact Facebook can have on your bottom line. The goal is not ‘like’ growth or big reach numbers. The goal is an impact to sales. 3. Focus on content you CAN control. A key focus of all of my presentations, talks, and consultations is that your website should be your primary strategy because it is the only content you own. With changes to the social landscape and Facebook, your website and blog content just got increasingly more relevant. Think of social media as the rides in the amusement park. They are fun, they are memorable and they get all the attention, but your website is the gift shop. It is where the commerce happens. (thanks, Unleashed Online Marketing for the analogy). It is time to adjust and refocus, my friends. The days of free Facebook reach are over.